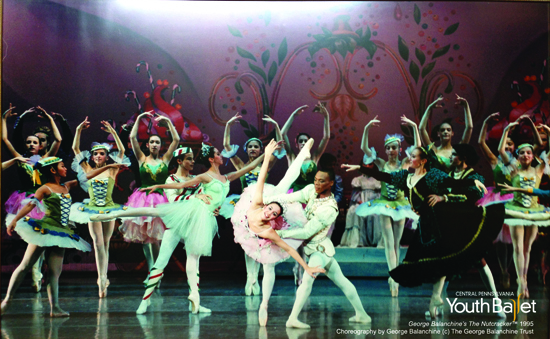 The Nutcracker at CPYB ushered them to the next level – and created lasting memories. Say “Hello” to Diane McCormick, our guest blogger! Writer and arts enthusiast, Diane recently caught up with Central Pennsylvania Youth Ballet alumni Ian Hussey, Lia Cirio, Carli Samuelson, Adrienne Schulte, and Jonathan Stafford to talk about their special Nutcracker memories. Let’s tag along and hear what they had to say! In every dancer’s life, one show is constant. They see The Nutcracker as children, and they are inspired to dance. They debut on stage as mice or party-going children. As they mature, they shine in featured roles, each as memorable as the next. Nearly 10 years to the day from performing Her Cavalier in Central Pennsylvania Youth Ballet’s 2003 production of George Balanchine’s The Nutcracker™, Ian Hussey returns this year to perform the same role. The difference? He is a Pennsylvania Ballet principal dancer now, one of many CPYB alumni in professional careers. Ian Hussey’s CPYB teachers were impressed by his ability to learn the choreography for Her Cavalier so quickly. He didn’t share his secret – that in his formative years with the Rock School in Philadelphia and appearing in Balanchine’s The Nutcracker, he constantly imitated the steps he saw older dancers perform. After first seeing The Nutcracker, 4-year-old Carli Samuelson wanted to be the Sugarplum Fairy. “Pretty much ever since then, I’ve been dancing,” Samuelson says now. The scene: Opening night of CPYB’s premiere performance of George Balanchine’s The Nutcracker™. Two dancers pushed a box from the wings toward the stage. Inside the box, Jonathan Stafford was preparing for his turn as Tea. But the box snared on the leg of a stage flat. “We were going onstage, and I’m all excited to do my part, and suddenly, we’re going offstage as the music’s starting.” Stafford had no idea what was happening, but the box was positioned just in time for his leap onto center stage. 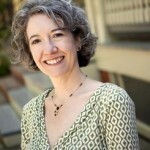 Freelance writer M. Diane McCormick’s background in the arts has centered on theatre and music. She writes for The Patriot-News, Harrisburg Magazine, Susquehanna Style, and other outlets and businesses. Writer’s Note: Feature photo CPYB 1995 production of “George Balanchine’s The Nutcracker™,” choreography by George Balanchine © The George Balanchine Trust, including CPYB alumni who went on to dance professionally: Former Corpus Christi Ballet Company Member Shannon Castner, former Sacramento Ballet Company Member Melanie Haller, former New York City Ballet Soloist Adam Hendrickson, Miami City Ballet Principal Soloist Callie Manning, Les Ballets de Monte Carlo Soloist Noelani Pantastico, New York City Ballet Corps de Ballet Member Allen Peiffer, American Ballet Theatre Corps de Ballet Member Adrienne Schulte, New York City Ballet Principal Dancer Abi Stafford, and New York City Ballet Principal Dancer Jonathan Stafford.